BetVictor casino is owned by Victor Chandler International Limited Casinos and makes use of a 128-bit SSL encryption technology system to protect their players. Algeria, Antigua & Barbuda, Armenia, Barbados, Belgium, Bulgaria, Cameroon, Croatia, Cuba, Czech Republic, Denmark, Estonia, Fiji, France (including Corsica, French Guyana, French Polynesia, Guadeloupe, Martinique, Mayotte, New Caldonia, St Barthelemy, St Martin, St Pierre et Miquelon, Reunion, Wallis and Futuna), Grenada, Hong Kong, Hungary, Israel, Italy, Latvia, Lithuania, Macau, Malaysia, Moldova, Monaco, Myanmar, North Korea, Palestinian Territory, Philippines, Portugal, Puerto Rico, Romania, Singapore, Spain, Sudan, Syria, Taiwan, Tonga, Turkey, Turkmenistan, Ukraine, Uganda, USA, Vatican City, Virgin Islands, Bangladesh, Iceland, New Zealand. BetVictor casino has a license from the Gibraltar Regulatory Authority and is both an instant play and mobile site. Victor Chandler International Limited Casinos is the casino’s owner, who established this casino in 2000. 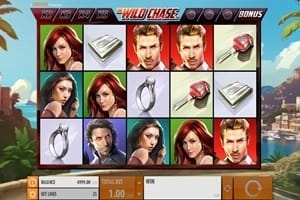 It might be because the casino has been around for so long, but it seems that the site knows just what players have been searching for in a quality site, including great games, alluring bonuses and a variety of extras that no experienced player will be able to do without, including great customer support and security. Microgaming, IGT, NetEnt and Novoline are the names behind BetVictor casino, allowing the site to offer players a truly astounding selection of games. Because of the casino’s license, it cannot cater to players from the US. 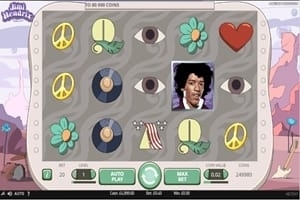 Games are not in short supply at BetVictor casino, with the site offering table games such as blackjack and roulette, as well as slots such as Starburst and the Jimi Hendrix slot. The site also has a video poker selection, including many variants that players will enjoy once they have become accustomed to the game. The game selection means that players will have a very easy time of finding all their favourite titles among the offerings of BetVictor casino, and this will ultimately give them a reason to keep returning to the site. Not only will they come across many of their all time favourites, but players can also expect to find many additional games, such as sportsbetting. Overall, players can expect to have a fun experience when they sign up with this site. 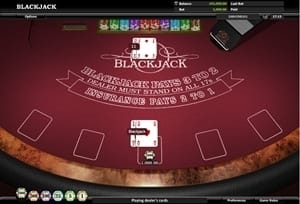 Players interested in the live casino have a few different options to pick from, including Victor’s Live Casino, BV Grand, Victor Royale and Extreme Live Casino, all of which offer between 20 and 50 dealers, as well as more games than players can expect to come across when playing in a live casino. 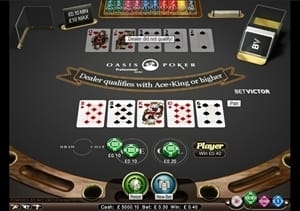 The aim of the casino is to make the players’ experiences as real as possible, and this is exactly what they seem to have been able to achieve so far. 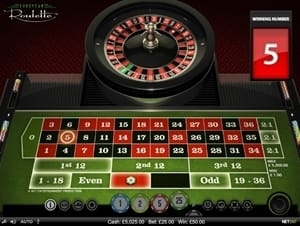 BetVictor casino’s mobile site offers something many other online casinos do not – a really great selection of games, including many that players will not usually expect to come across within a mobile platform. Not only are there the usual suspects, such as slot games, but there are also 3D slots, table games and much more. The mobile site is compatible with just about all devices, although it has been especially designed with tablets in mind. The bonuses keep on coming at BetVictor casino, and there is always something new and thrilling to take advantage of when a player signs into their online account with BetVictor casino. Currently, the site is running a Million Pound Goal competition, where players will win as much as 1 million pounds by correctly predicting who will score the first goal in the opening match. Players need to have guessed the minute that goal will be scored, so this one is a real challenge. Cash bonuses are all the rage at BetVictor casino, with players not only receiving a free bet when they sign up, but also a match bonus. The match bonus has to be wagered at least 35 times before players can withdraw their winnings, however. To keep things interesting, the casino is giving away multiple cash prizes, including a money back prize, and weekly real cash prizes. With Euro on the go, the casino is hosting a range of promotions tailored to this competition, including the chance to win tickets to the final in Paris, so football lovers will find that this is definitely the place to be this football season. As with every other great casino, BetVictor casino is offering players the chance to win free spins every Tuesday thanks to the Tuesday Top of the Slots promotion. Fridays see the starts of the table game promotions, with players standing the chance of winning bonuses just by playing roulette or blackjack. Players also stand to win a cash prize just by playing the game of the week at BetVictor casino. Overall, the bonuses and promotions being offered at BetVictor casino will keep players on their toes and give them more reasons to keep signing into their online accounts. BetVictor casino uses a range of devices to keep their players safe when their logged into their online accounts. Not only is there a 128-bit SSL encryption technology system set in place to secure private information, such as banking details, but this casino boasts games audited by TST and eCOGRA – two well known names that just about guarantee fairness. Customer support is a priority at BetVictor casino, with customers being offered a live chat support system that can be contacted at any point in the day or night, 24/7. The casino is also offering a Call Back service, which directs players to a support agent in the event they require assistance. 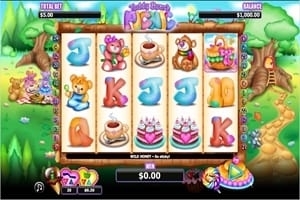 Players who have time on their hands can get in touch with the casino via email. BetVictor casino has a lot to offer players who are searching for a top quality, online gaming experience. When it comes to game selection, the site just about has it all, but it is also the security, customer support and general user friendly nature of the website that has turned this into a must-see online casino.